Everyone says that in 6 weeks time, these hills will be tinder-dry. The lush green carpet that is covering the valley is unusual, and will soon give way to the scorched yellows and browns of summertime. And just like that, the landscape here will change completely. It’s October, and I’m back in my homeland of New Zealand, albeit in a part that I have (quite embarrassingly) never visited before. 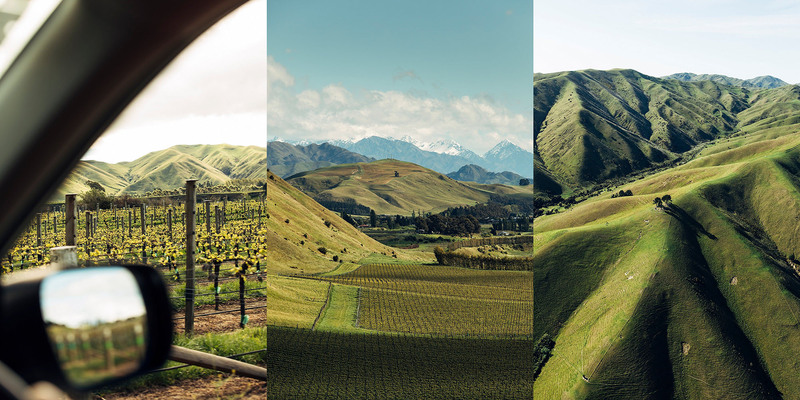 Marlborough is one of the main winemaking regions of the country – famed mainly for it’s Sauvignon Blanc, but other varieties are produced here too. It’s a special cooler type of climate here, and the longer growing season gives the grapes time to develop the flavours it is famous for. It’s easy to get a sense of what the grapes go through – at night I crank the heating up in my hotel room, in the morning I don a puffa jacket, and by midday I am roasting hot under that bright New Zealand sun. Four Seasons in One Day, as Crowded House sang… I know they were singing about Auckland but to be honest, it could pretty well go for this part of the country, too. Sitting in the middle of it all, surrounded by vineyards as far as the eye can see, the mountains lush and green, it’s hard to imagine that they’ll soon by anything but. It’s been a wetter-than-usual winter here, and as a result some areas are still slightly flooded – harder to see when you’re on the ground, but soaring above the valley in a helicopter, the effects are more obvious. 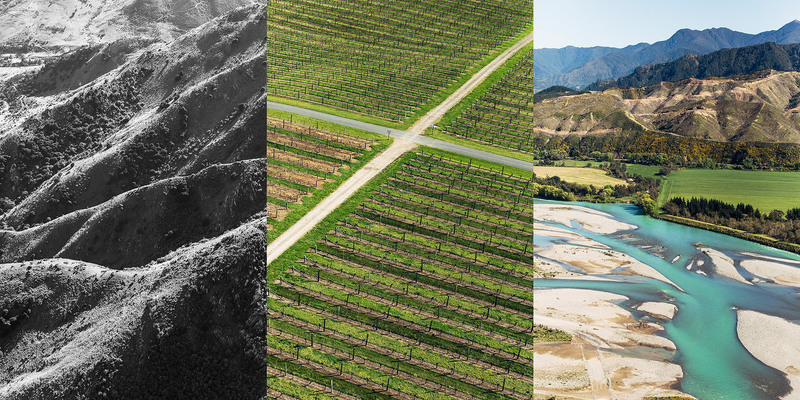 Looking down from up high, it becomes apparent that Marlborough really is mostly given over to the growing of grapes. It’s incredible to see the acres and acres of meticulously planted rows which cover the land. Symmetry abounds and it astounds me that nature in all her curvaceousness is happily and delicately manipulated to become straight lines – criss-crossing intersecting, and reaching across the land. It’s these lines which are perfectly reflected in an artwork created by Dror Benshetrit which is the main reason I am here. Under/standing is a sculpture created specifically by Dror for the Brancott Estate winery. 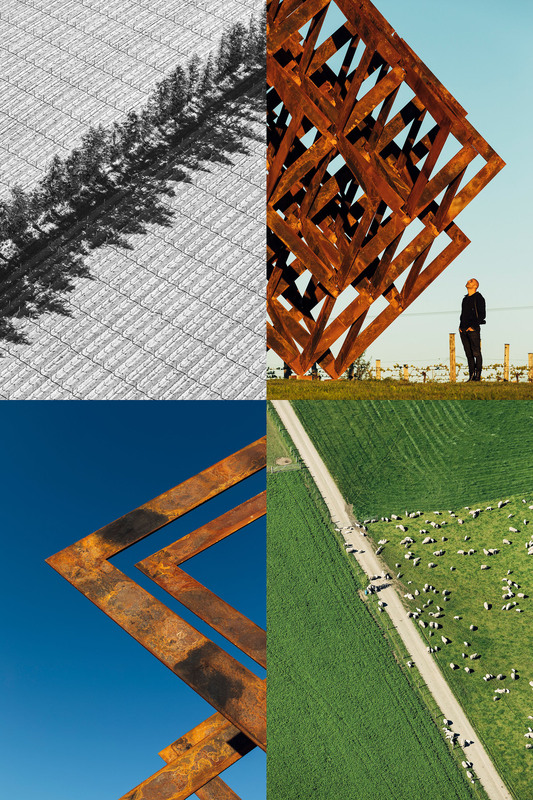 This flat matrix of Corten steel expands to find its place as an 8 metre tall sculpture near the entrance to the vineyard. Standing under, near, or around it provides a frame through which you can view the vineyard, the mountains or the sky from various different viewpoints. It’s a real focal point for the vineyard, visible from many directions, and sits perfectly amongst the endless lines of vines. It’s golden hour now, and we’ve ventured back to the vineyard, hoping for some of that late-afternoon golden light. We find Dror underneath his sculpture, lying on the ground looking up, seemingly marvelling at how the sculpture takes on forms which seem to shift with the light. “Does it look how you imagined it would?” I ask him. He seems to start to say no, but then corrects himself: “Actually, yes. It’s exactly what I thought it would be. We did so many renders, so many models of it, we knew how it would look from every angle”. But still, I get the sense that standing underneath his own creation like this has him surprised. What a wonderful thing, to still be taken aback by something which you yourself made. 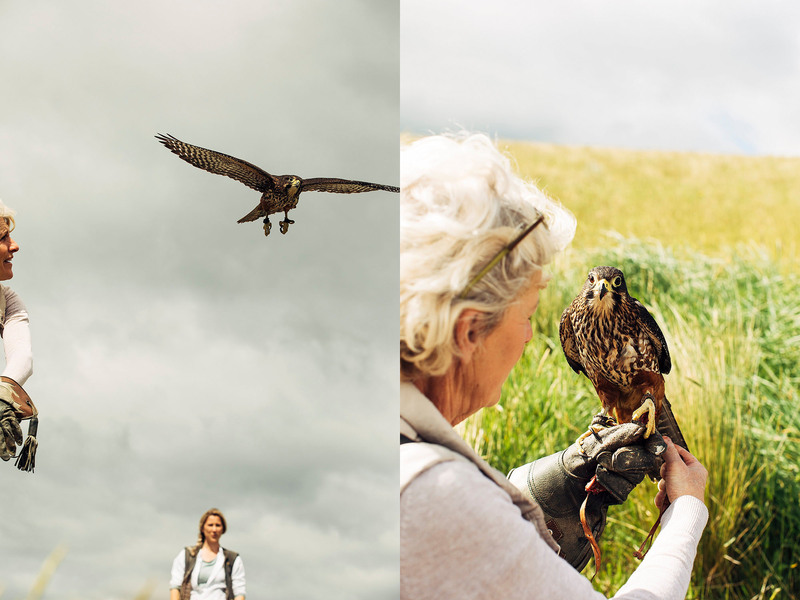 I feel like it’s one of the greatest joys of being a creative – that even when your vision is brought to life, exactly as you planned it, it can still astonish you. As the sun sets behind the ridge and the sky is lit up a soft dusky pink, we sit and eat a proper Kiwi meal of fish and chips (with a glass of wine, of course) – the light still rendering the sculpture in different subtle ways as the sun goes down. Just 20 minutes beforehand it was lit by a fiery early evening sun, glowing orange in amongst the vines. Now it’s blue, as we get packed up, put puffa jackets back on, and bundle on back home. Hands-down my favourite wine from our deliciously extensive tasting – the special edition Sauvignon Blanc and Pinot Noir created especially for the launch of Under/standing. The Pinot Noir is aged for 20 months rather than the standard 11, it was absolutely incredible, and I’d like to order 10 boxes please. Andy Frost, head of wine innovation, explains it further: The soil on the two opposing sides of the river is slightly different, and the grapes resulting from the Awatere side could be described as tasting slightly more herbal. 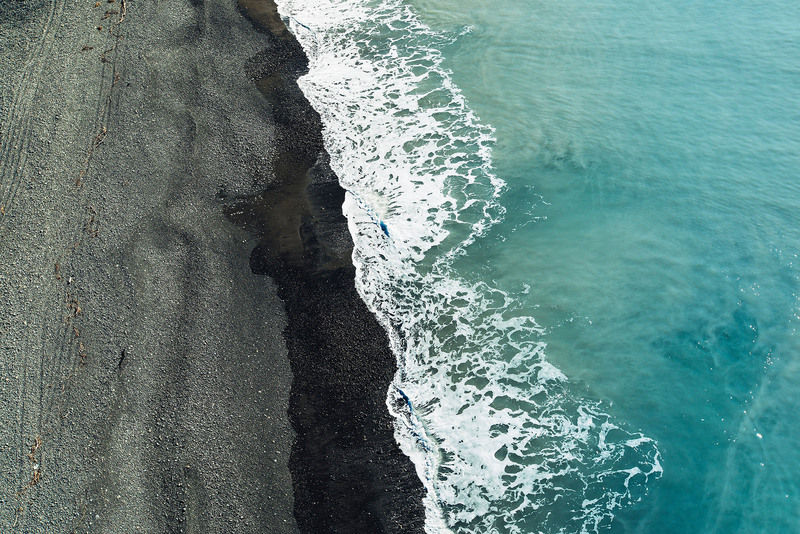 It could be the winds, it could be that it is slightly nearer the sea, there are so many variables that could account for that slight change in character, and sometimes it’s just impossible to pin down. Andy’s a kind and affable character, who is showing me around for the day. 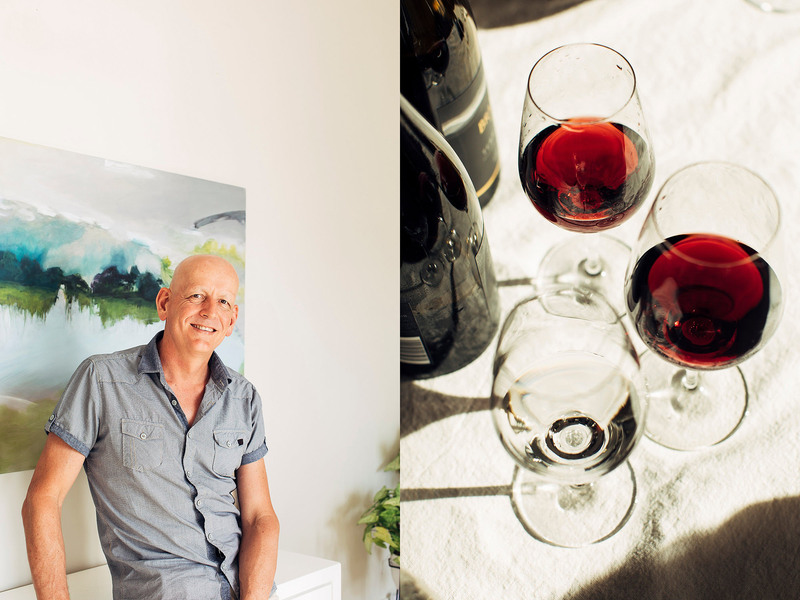 Rolling up in his wife’s car – his own cannot handle the terrain of the vineyards well – with a thermos of tea at the ready, and chatting all the way, we drive. Around and about the vines, up hills overlooking the valley and with the cascading folds of the Wither Hills and Richmond hills towering over us at all times. The hills themselves are a main character in this place – the clouds alternately sit on, engulf or flee from these peaks, just as the light does, and seem to change by the minute. Andy Frost, and the sculpture at dusk, whilst eating fish and chips with a glass of Sauvignon Blanc. Bliss. Here since the 1980’s, Andy’s been with the company for almost 30 years. Out in the vines in the early morning, we meet some workers on the vineyard who are digging out some old posts from the ground to make way for new ones. “I’ve been here 25 years mate!” exclaims one guy, a bit of a cheeky glint in his eye. “Oh, well, you’ve got a bit to go before you catch up to me then!” Andy winks, letting this young whipper-snapper know that he’ll have to put a few more years in before he can claim any kind of crown. After all my talk of vineyards and winemaking, you’d be forgiven for thinking that it is the sole trade here in Marlborough – but you’d also be wrong. 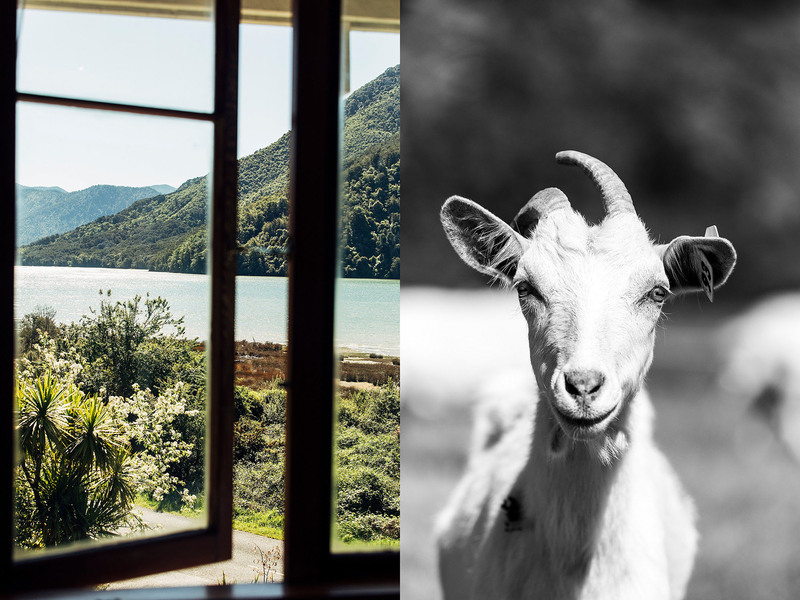 During my few days in the region I happily discovered a thriving produce scene – from strawberries to honey to goats cheese. And I happily taste-tested them all. Tough job, I know. Matt Goldsworthy from Taylor Pass Honey is one of my first visits. Bundled up in the back of his ute with a couple of bee suits at the ready, we drive out to one of the 8,000 or so hives he has in Marlborough alone. 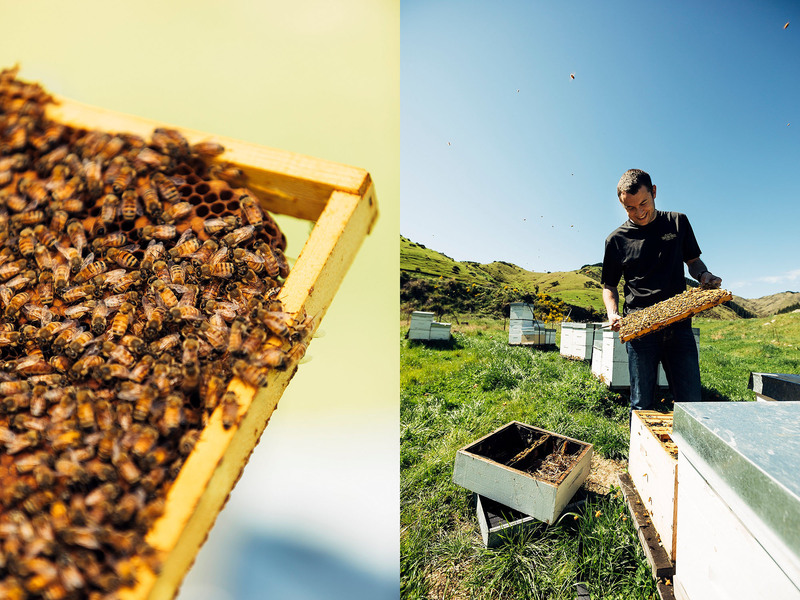 With these hives and others dotted around the top of the South Island, it’s a few too many bees to tend on ones own – so there are 25 beekeepers in total working away to look after the bees and harvest the honey. A quick taste test of some of their best honeys reveals the totally different flavours each variety has. And I’m calling it as I taste it – the blue borage is my favourite. Simon Lamb of Cranky Goat cheese is next on our list. Driving out to the entrance of the Sounds, their property has to be one of the most idyllic ones around to sample some cheese, with a dining room table view to die for. He’s inspired by the old French cheesemakers, and subscribes to the theory that if you want good quality consistent cheese you have to make it everyday. “Bacteria don’t wait just because you want a day off!” Working in partnership with their neighbours who own and milk the goats, the Lambs then go ahead and turn that milk into their signature cheeses. “They finish milking next door at 6.55am, and by 7am we are making the cheese” says Simon. The proof is in the tasting too – fresh and tangy, my favourites here are the Chilli (the chillies are hand smoked with native Pohutakawa) and the Smoked (prepared with wood from the apple tree which is just smouldering). I wish I could find a way to carry them around in my suitcase with me for the next few weeks but to be honest, who am I kidding. They wouldn’t last that long. A quick visit to Hedgerows reveals the only glasshouse to grow strawberries in the Southern Hemisphere. 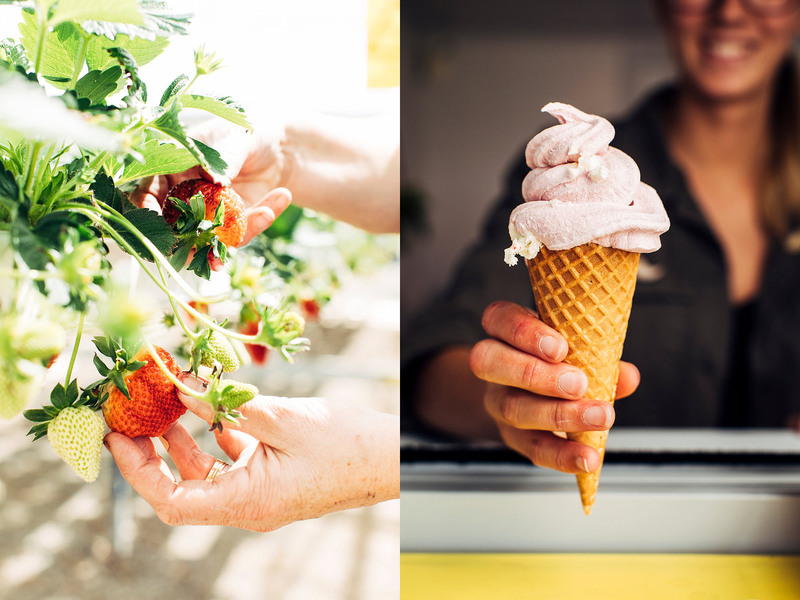 Being a born and bred Kiwi girl, I’m used to visiting strawberry farms and picking our own, bending down time after time to find the best and biggest berries on the plant, usually under a blazing hot Kiwi sun. This place however, is a little different. 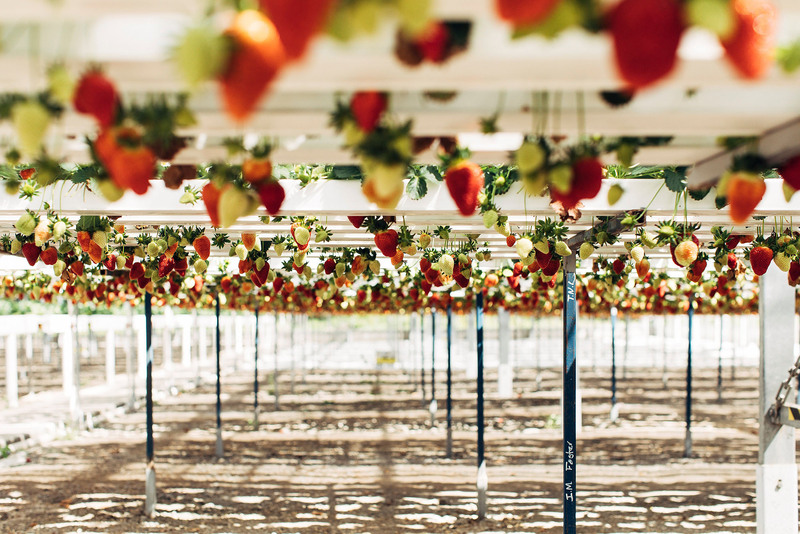 The strawberries here are grown hydroponically and at a convenient waist-high level. But if you duck down and look beneath the rows it looks just like Christmas, with red and green as far as the eye can see… It’s a boiling hot day by now so we quickly duck out of the toasty greenhouse and get a taste of the main event – the homemade strawberry frozen yoghurt that Hedgerows is famous for. I again long for a temperature-controlled suitcase which would allow me to smuggle this stuff outta here. 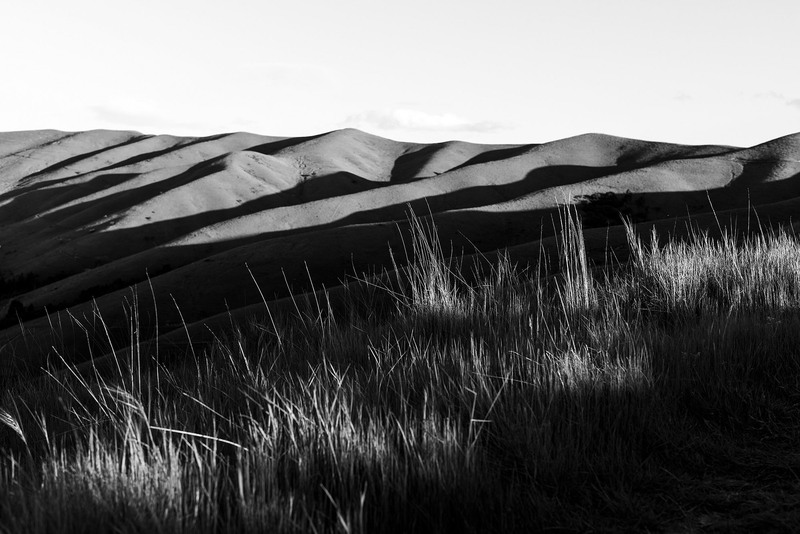 Blenheim occupies a pretty special landscape in New Zealand, sitting as it does in a valley alongside a river, with hills looming on each side, and with the ocean right next door. Like most places in New Zealand, you’ll want to wait until golden hour to take advantage of the softer more beautiful light – or start early in the day before the hard light hits. An early morning start after a chat with local Kate lead us to Monkey Bay, near Rarangi Beach. It’s not quite sunrise and we are standing of a cliff looking over the bay, waiting for the sun to make an appearance. In the gloaming we can see the North Island from where we stand, and I realise that it’s something I’d never done before – I wave happily towards Wellington. It’s so good to be home. 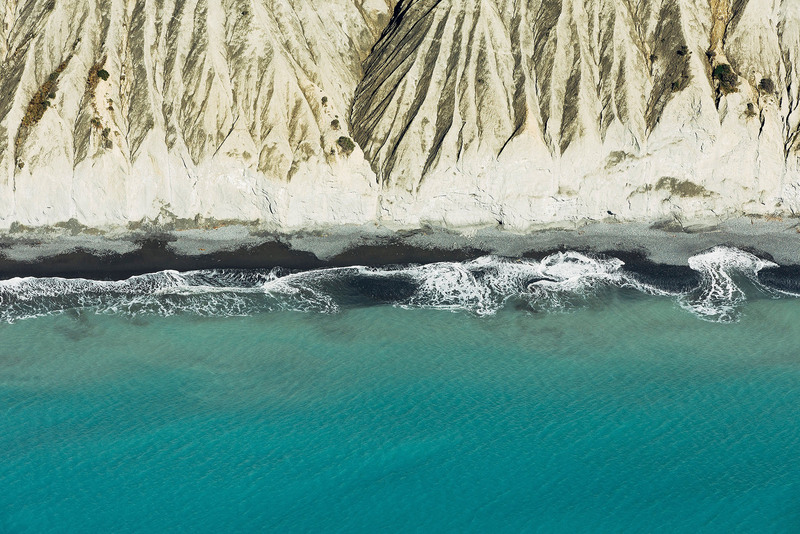 The Marlborough region was hard-hit by the 7.8 magnitude Kaikoura earthquake in November of last year, and seeing it all from above, it’s easy to see it. “Man we’re sitting in the middle of a bomb” says our helicopter pilot Simon, as he points out where the fault lines run across the land. There are crevasses and slips and clear gashes in the hills where the earth literally moved. And he should know about that time bomb – he flew scientists around in his helicopter after the earthquake, and they pointed out the fault lines and the damage they caused. It’s part and parcel of living in the region, taking the good with the bad, but you can tell it has people wary – the last one hit really close to home. But it’s a real community here, and to be honest, I don’t think it has scared anyone away. You just muck in, get things fixed, and keep on going. If you can do it, seeing the region from the sky makes all the difference in understanding the special place it holds in New Zealand. And Simon will happily take the door off for you to take photographs, too (with a few extra safety measures thrown in). Sunset sees us climbing up the Wither Hills. We’re told that the Gentle Annie track is a nice one to take, with good views to be found from the Witches Hat. We don’t quite find Gentle Annie, so our walk is a little steeper than anticipated, but totally worth it to sit in front of some swaying grasses as the sun sets before our eyes, and dips behind those famous hills. And with that, my time in Marlborough came to a close. 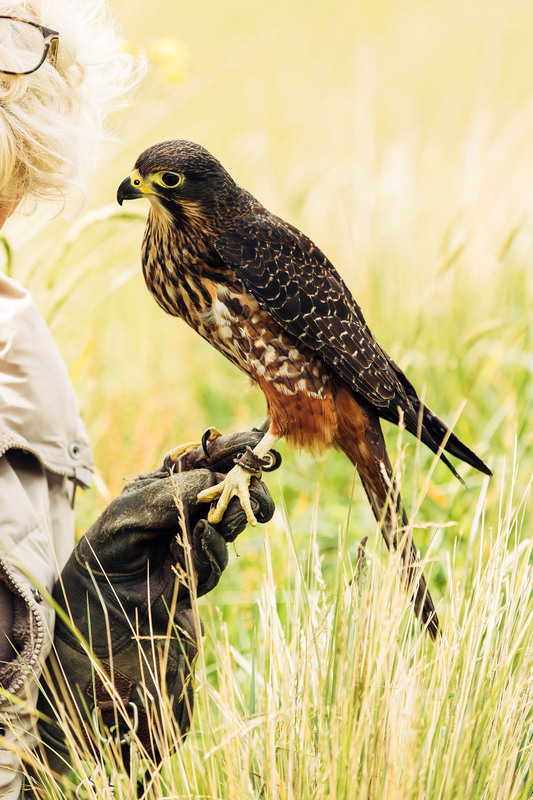 It felt as though I’d barely scratched the surface of this rich land. My palate and my stomach are both leaving very content – this time has reaffirmed my belief that we really do have some of the most delicious and world-class produce around in this tiny island nation I’m so proud to call home. And the views aren’t half bad, either. A final note: This blog post is a result of a paid collaboration with Brancott Estate Winery in Marlborough. As ever, all images, words and opinions are 100% my own. Thank you for supporting the work that I do!